A Cook County correctional officer was charged with theft for allegedly purchasing a watch he knew was stolen property. The arrest was the result of a joint operation by the Cook County Sheriff’s Office and the Federal Bureau of Investigation, part of the Sheriff’s Office’s continued effort to cut down on corruption and officer misconduct at the Cook County Jail. Whether control over the stolen property was “knowing” is a major requirement of the crime and, if the prosecution cannot prove beyond a reasonable doubt that the defendant knew the property was stolen, the defendant cannot be convicted, even if the property was stolen. So in cases of theft, the primary defense would be that the defendant did not know, nor was it reasonable for him to know, that the property was stolen. In this case, the defendant allegedly received information from a prison inmate (who was working with the Sheriff’s Office and FBI as part of the sting) that he could purchase stolen property from a third party outside the prison. However, unless the inmate was wired, it would come down to the word of a prison inmate – who presumably was offered some type of incentive to participate, whether it was a reduced sentence or privileges within the prison – versus the corrections officer regarding whether the prison inmate told the corrections officer the property was stolen. It is true that the defendant was unwise in taking the inmate’s advice on where to get a good deal on a watch. But bad judgment does not mean the defendant knew the property was stolen. Perhaps he thought the inmate was telling him about a great deal on a watch in exchange for privileges or some other reward. Even if the inmate was wired, and the recordings would prove that the defendant knew the property was stolen, an argument could be made that the defendant was acting out an unauthorized sting of his own – that his plan was to check out the warehouse the inmate directed him to, see if the property was stolen, and then report the theft ring to the authorities, perhaps hoping that the bust would gain him a promotion or some other accolades. If, however, the facts show that the defendant did, in fact, know that the property was stolen when he purchased it, then defense would turn to getting the charges reduced and seeking a reduced sentence. The defendant was charged with a Class 3 felony, based on the fact that the watch he purchased had an approximately value of $1,200. In order to get the charges dropped to a class A misdemeanor, the defense would need to prove that the actual value of the watch was $500 or less. There may also be a defense of entrapment, which I discussed in an earlier blog entry. A defendant is not guilty of the charged offense if he can prove that his conduct was incited or induced by an agent of a public officer. Here, the prison inmate was part of the sting operation at the direction of the Sheriff’s Office and FBI; therefore, he was acting as their agent. If the defendant can prove that the inmate’s behavior was so egregious that it would cause any reasonable person to have gone and purchased the property, then the defendant will be acquitted. 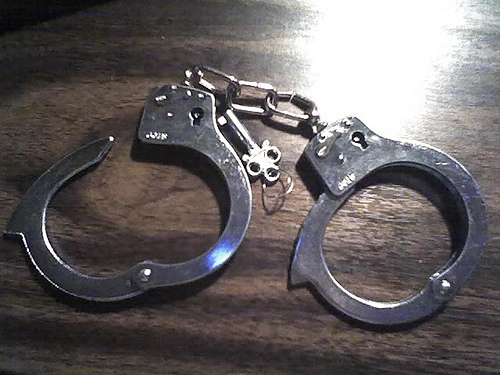 If you have been arrested or charged with theft contact the Chicago Law Offices of David L. Freidberg, P.C. Many defendants fail to consult with an experienced Chicago theft attorney, thinking that the charge and possible punishment are not serious enough to justify hiring an attorney. But any criminal conviction is serious, and can have an adverse impact on future employment and housing opportunities. David L. Freidberg has almost 20 years’ experience handling all types of theft crimes, from petty theft to major felonies. Contact the Chicago office 24/7 at 312-560-7100 to schedule a free consultation.